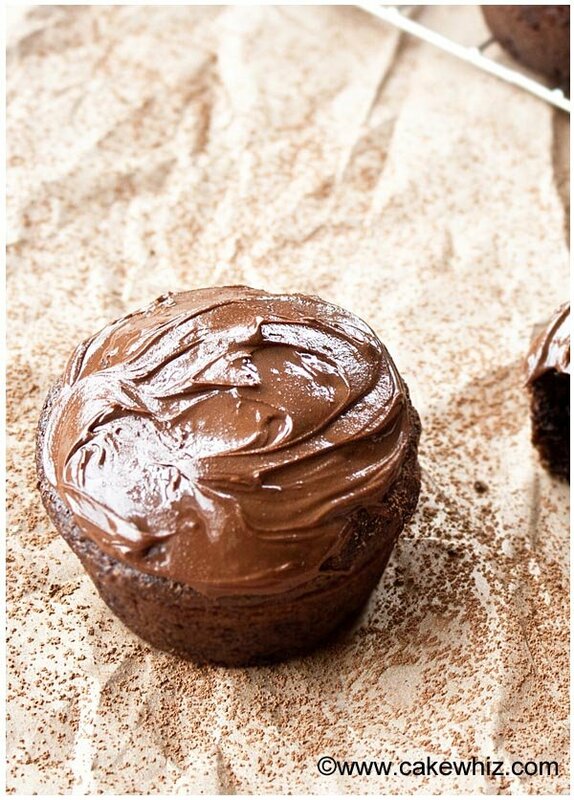 These sugar free chocolate cupcakes are deliciously soft and moist and made with Splenda. Perfect and easy recipe for diabetics. About a year ago, I tried to make sugar free chocolate cupcakes since a friend of mine requested a recipe for her diabetic father but it was a total DISASTER! The cupcakes I made had such a weird texture that it almost felt like I was eating sponge. However, I kept working on the recipe and now, these chocolate cupcakes taste so GOOD that you can’t even tell they are made with no sugar! Woohoo! 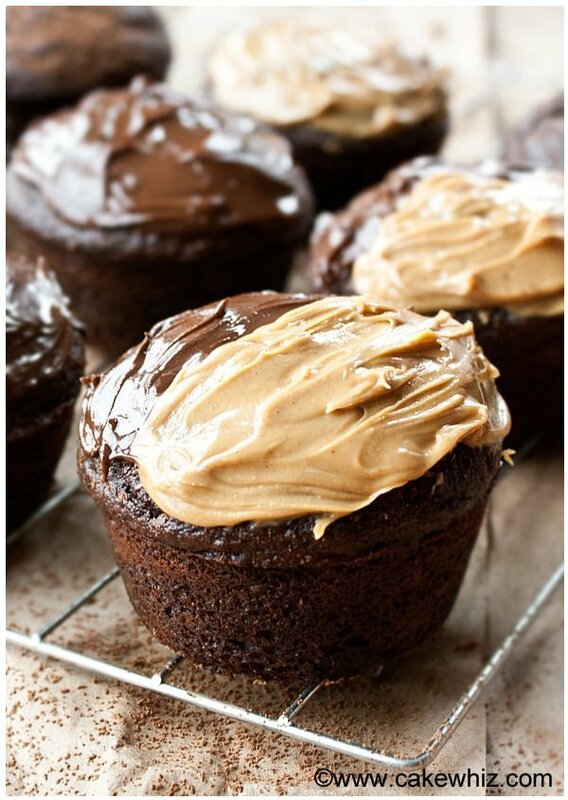 NOTE: I SPREAD SUGAR FREE CHOCOLATE SPREAD AND SUGAR FREE PEANUT BUTTER ON THESE CUPCAKES. HOWEVER, YOU CAN ALSO USE THIS SUGAR FREE FROSTING, WHICH MANY OF YOU HAVE REQUESTED! They are SOFT but FIRM and won’t break apart when you bite into them. They have a strong chocolate flavor, ENHANCED by the addition of some brewed coffee in the batter. Now, I didn’t top them off with a swirl of frosting, which is my usual style. Instead, I spread half peanut butter and half sugar free chocolate spread on the tops. 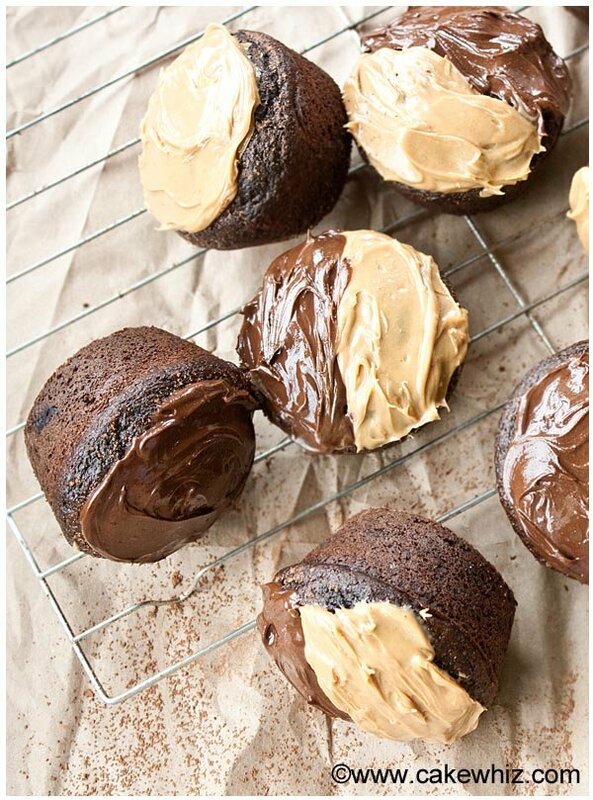 I also spread just chocolate spread on some cupcakes, which tasted HEAVENLY and they were obviously my favorite! My recipe is adapted slightly from here. I used granulated Splenda in this recipe but I have also made these cupcakes with the Splenda sugar blend that has some sugar in it. Cupcakes made with granulated Splenda had a subtle bitterness but once you frost the cupcakes, you can’t really taste it anymore. Cupcakes made with Splenda sugar blend barely had the bitterness. In a small bowl, add boiling water, freshly brewed hot coffee, cocoa powder and milk. Mix everything until there are no lumps. Keep this chocolate mixture aside. In a deep mixing bowl, mix together the eggs, butter and Splenda sugar until properly combined. Now, add the chocolate mixture (that you made in Step 1) and vanilla extract and mix again. In a another bowl, whisk together the cake flour, baking powder and baking soda. Dump this dry mixture into the wet mixture and mix until just combined. There may be some lumps… Don’t worry about them! Just don’t over-mix or else you will end up with weird spongy cupcakes. Pour this batter into cupcake liners and bake at 350 degrees for 20-25 minutes or until an inserted toothpick comes out clean. 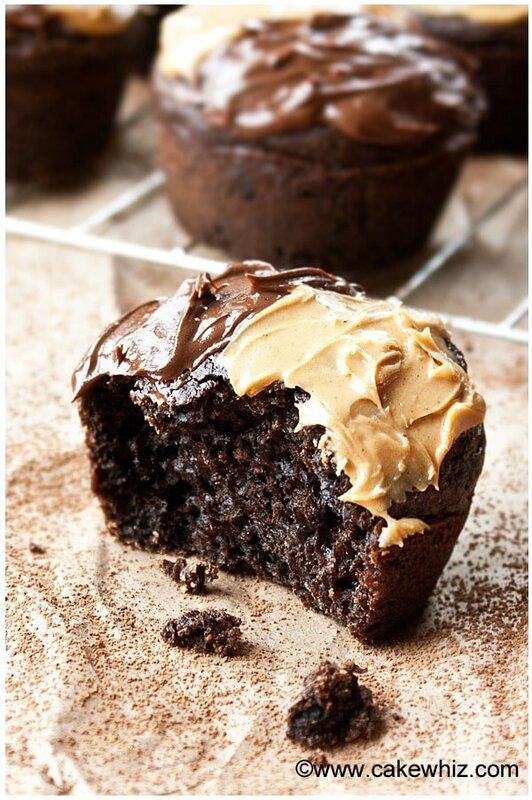 Allow the cupcakes to cool down and then frost them in sugar free icing or spread some peanut butter/ sugar free chocolate spread on top of them. Enjoy! Instead of sugar free spreads, ice these cupcakes with this sugar free frosting. What if I don’t want to add coffee into my cupcakes? What’s an alternative? You can add water but the chocolate/coffee flavor won’t be as strong. Have you tried using nut flours instead of all purpose flour? I haven’t tried nut flours. I have tried whole wheat and gluten free. The gluten-free was not the best but okay but the whole wheat was awful. If you try out any other flours, I would love to know how it goes.